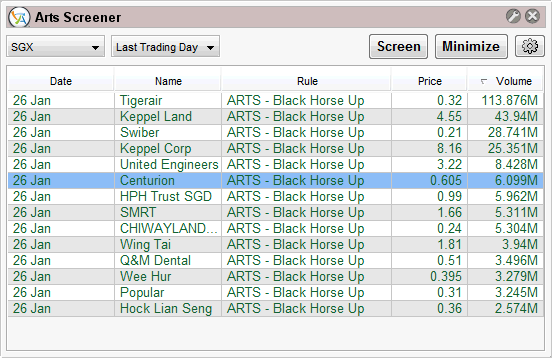 Above is the Art Black horse scan for 26 Jan, this stock screener is to help to screen out the strong momentum stock. Applicable when market is positive. Recent article on centurion - Setting up a REIT?